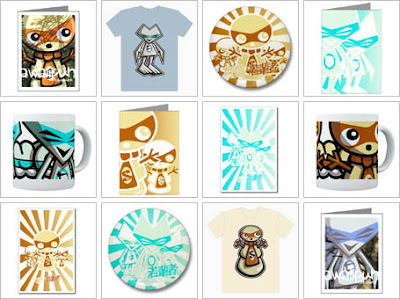 Yes, thanks to myself and my esteemed colleague the Frost Mascot, you can now purchase some truly kawaii and Christmassy cards and gifts at the KawaiiPunk Zazzle and CafePress shops - hurrah! And, if you like Christmas as much as I do, you can even get some suitably festive t-shirts over at our RedBubble store - double hurrah! Merry Christmas everybody!